Consisting of forty days worth of Haitian arts & culture, this large-scale Haitian arts festival was the first of its kind in New York City. 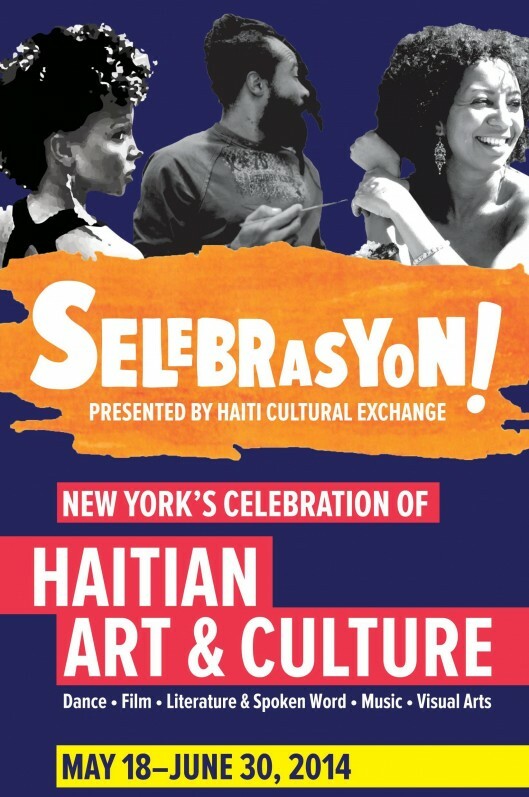 With 22 events presenting the works of artists residing in New York, Haiti, and other parts of the Diaspora Haiti Cultural Exchange brought together over 100 modern and traditional artists, a majority of whom were emerging or unknown and whose work represents their extreme talent and innovation. Kicking off with Selebrasyon! Opening Night and the Haitian Flag Day Selebrasyon! all the way to the No Passport Party finale, the festival gave artists a platform to present what’s cutting edge in Haitian art and offered nearly 4,000 participants an opportunity to experience their craft and engage with our community. Selebrasyon! could not have been possible without YOU! HCX extends our thanks to all of the artists, attendees and institutions that helped create the memorable moments that made Selebrasyon! a dynamic showcase of Haitian heritage. To view a full list of the Selebrasyon! Community & Media Partners, Sponsors, and to learn more about Selebrasyon! CLICK HERE! See what Caribbean Life had to say about Selebrasyon! To view the full Selebrasyon! program, CLICK HERE! To see photos from Selebrasyon!, CLICK HERE! For videos of the festival,CLICK HERE! This entry was posted on Thursday, July 17th, 2014 at 4:36 pm	and is filed under Archive, Arts, Crafts, Dance, Events, Film, HCX Programs, Literature, Music, Photography, Poetry, Public Forums, Selebrasyon!, Uncategorized, Visual Art, Weekend. You can follow any responses to this entry through the RSS 2.0 feed. You can leave a response, or trackback from your own site.